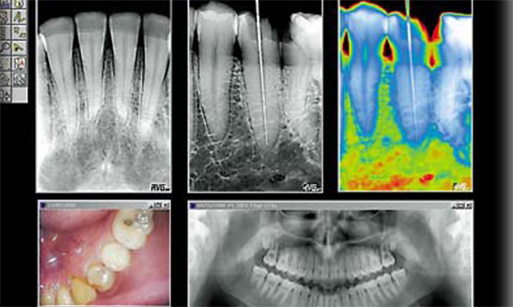 The KaVo KEY LASER 3+ is the LASER with the broadest indication spectrum on the market. 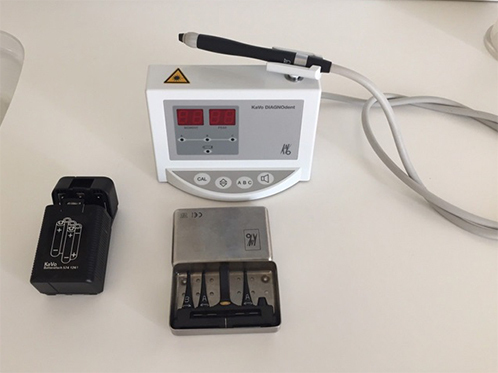 In cavity preparation, periodontics, endodontics and surgical procedures, the KaVo KEY LASER 3+ not only offers high preparation speed but also the greatest possible safety with optimal ergonomics and comfort. The Diagnodent (left) is a laser cavity detector. We simply run the wand around all surfaces of the teeth, and the machine gives a numerical value to any level of decay—and the patient doesn’t feel a thing! This allows us to see if anything is even starting, so we can evaluate the stage. This way we can make a note of what to watch out for for and objectively recommend treatment, allowing the most concervative options possible. 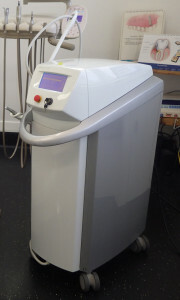 The HealOzone™ machine uses O3, or Ozone gas to reverse the decay process. Does this mean no drilling and filling? YES! (We hope, although there’s always still the chance, and this is why you have to take care of your teeth too!) A suction-type cap is placed over the tooth to be treated, and when sealed; the gas is released over the tooth. Treatment takes approx. 60 seconds per tooth. 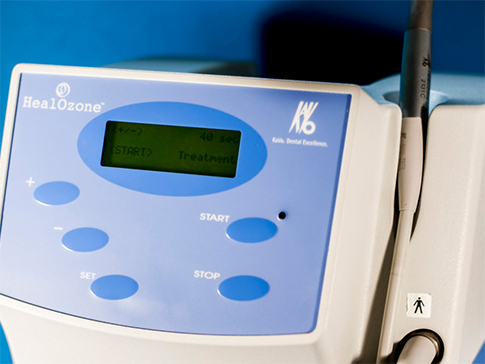 The Healozone is used at Dr. Jan’s office. © Copyright 2018 TContents EJC Dentistry / E.J.Chithalen. All rights reserved. HealOzone is a registered trademark of KaVo.